Good Vibrations is an installation of humming sculptures that transmits vibrations to the viewers as they walk and interact with the objects. These plaster sculptures are embedded with surface transducers. When current is sent to these surface transducers, a metal coil within will expand and contract – and if pressed against a flat surface, turns the transducer into a speaker. The surface transducers produce a constant low frequency hum, thus not forcing a jarring sound onto the viewer, yet allowing one to feel the vibrations as they walk closer to the object. The interaction between the audio and physical sensory with the minimalistic plaster forms strives for a fresh look at what is at first glance, a traditional art object. 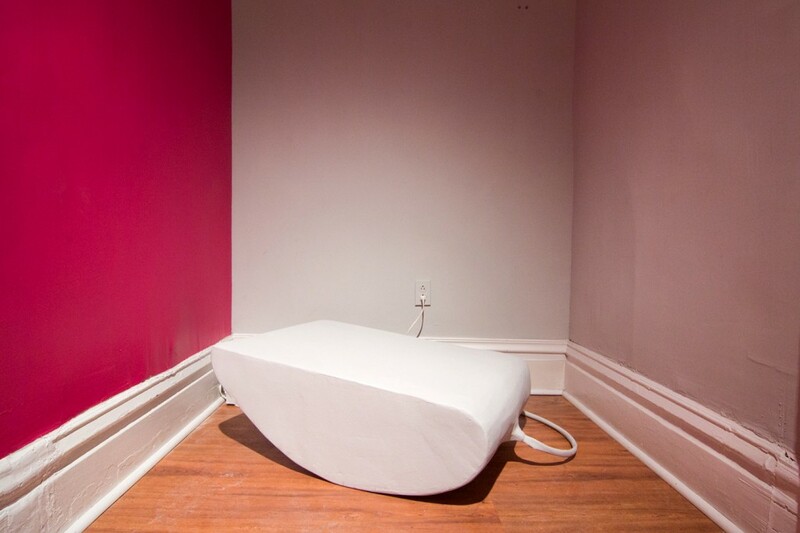 The project explores how the surface transducers function and interact with more traditional objects such as plaster. 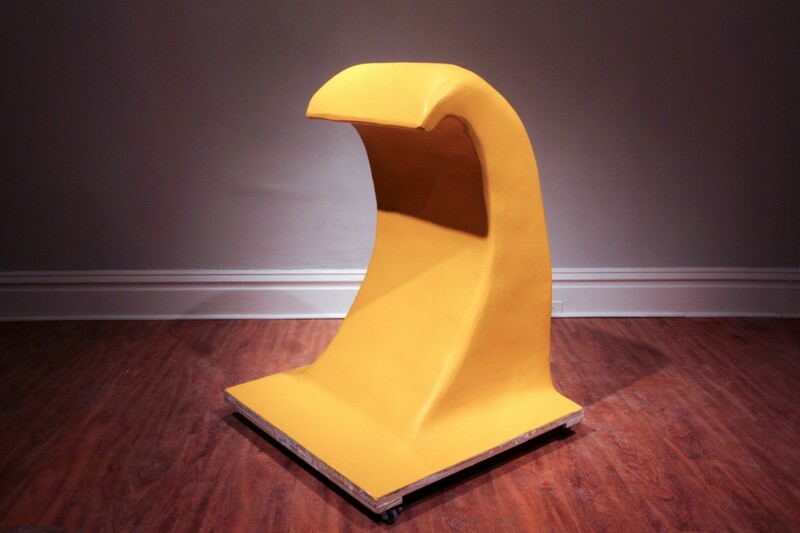 In combining these surface transducers with more traditional sculptural materials, Cheung seeks to push the envelope of conventional forms of sculpture in an interdisciplinary way. 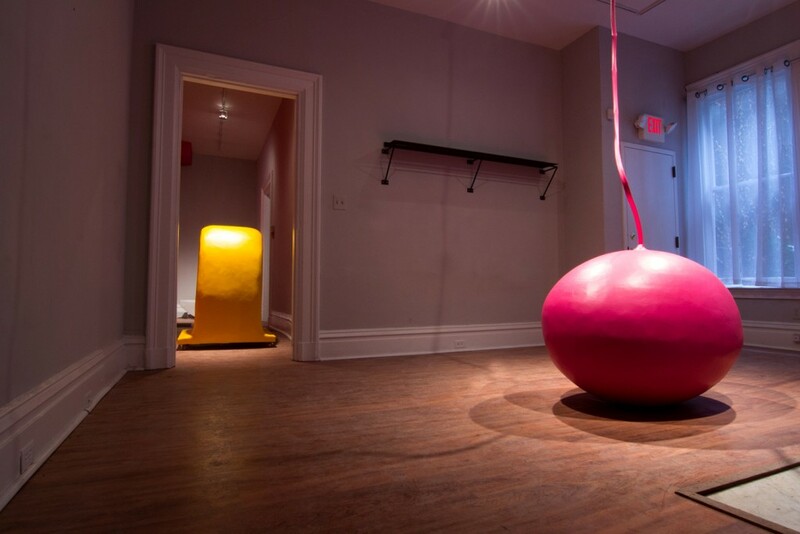 Good Vibrations was created with support from a microgrant from the Frank-Ratchye Fund for Art @ the Frontier (FRFAF) — an endowment founded to encourage the creation of innovative artworks by the faculty, students and staff of Carnegie Mellon University. With this fund, the STUDIO seeks to develop a cache of groundbreaking projects created at CMU — works that can be described as “thinking at the edges” of the intersection of disciplines. Zhiwan Cheung is an MFA student in the School of Art at Carnegie Mellon University. More information on the Good Vibrations project can be found at the artist’s web site.